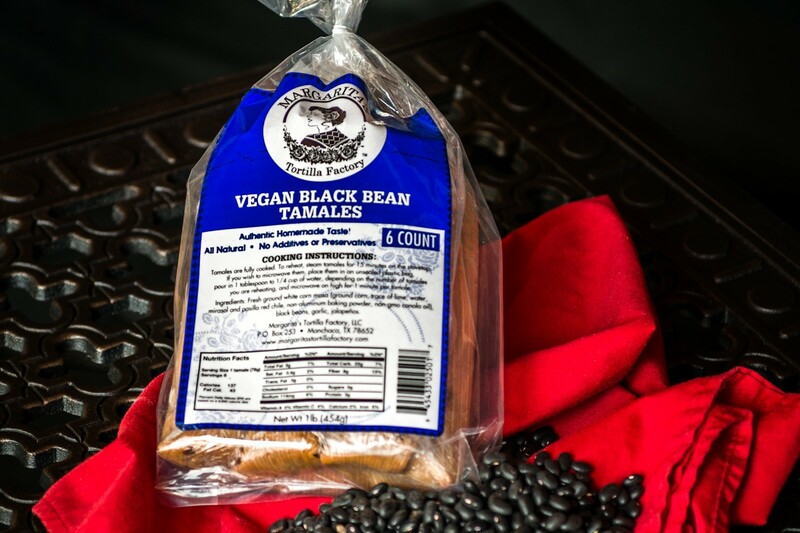 Our handmade, non-GMO verified Vegan Black Bean Tamales are our most popular flavor. 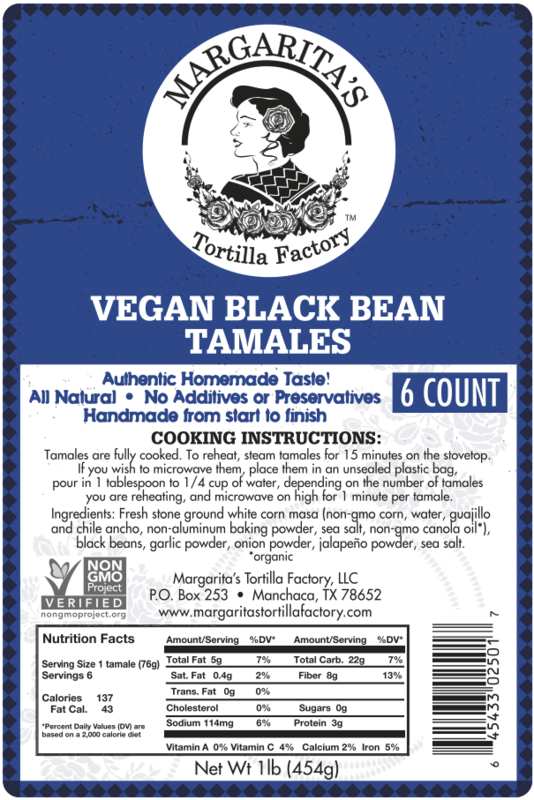 We season our savory black beans with just the right blend of spices to elevate these simple vegan tamales into something more. You won’t even miss pork tamales when you’re eating one. Fresh stone ground white corn masa, black beans, garlic powder, jalapeño powder, sea salt.